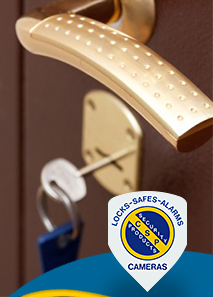 When you need a locksmith in Aurora, CO, think of Colorado Security Products first. We can help you with all of your locksmithing and security needs. We’ve been around for almost 40 years, so we must be pretty good at what we do! We’d be happy to show you why people call us first whenever they need a locksmith. Our smiths are experts at everything that has to do with locks. They can help you choose new locks and can give you the pros and cons of choosing one type of lock over another. They can also help you work with older locks, locks where you have lost or were never given keys, and more. 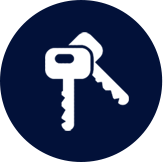 No matter why you need a locksmith service, our expert smiths can help you out. We even offer an emergency locksmith service. Someone is standing by 24 hours a day, 7 days a week, just in case you need them. Whether you locked your keys in your car or your toddler accidentally locked you out of the house, we can help you get through that lock and get back inside. We know that lock problems don’t always happen when it’s convenient, so we are even available on holidays. No matter when your need arises, call CSP and we’ll send an expert, professional locksmith to come and get you out of your predicament. 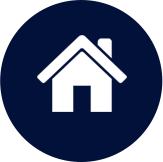 Do you need to ramp up the security at your home or business? Maybe there have been break-ins in your area, or you’re changing your business and now you’ll have restricted areas. No matter what your needs are, we can help you find the products you need to rest easy at night. Do you need to protect valuables or money? We can help you find and install a safe that will make you feel…well…safe. We’ll help you choose a safe that is the right size and offers exactly the level of security you need to protect your valuable things. Need to keep an eye on an area or know who comes around? We’ll help you set up a camera or camera network that will give you all the information you need. Security Systems. Rest assured that no one is breaking into your home or business and getting away with it when you install one of our security systems. Access Control. Keep those without authorization out of restricted areas with one of our access control panels. Since 1977, we have been growing our business and our knowledge of security protocols and products. This gives us an edge over other Aurora locksmith services because we have had the time to develop our skills. We have solved all sorts of complex security issues, so we know that we can handle your situation. Give us a call and find out why so many people in Aurora trust us first when it comes to all of their security needs. Or call our locksmith service the next time you experience an unexpected lockout. We would love to help you out!